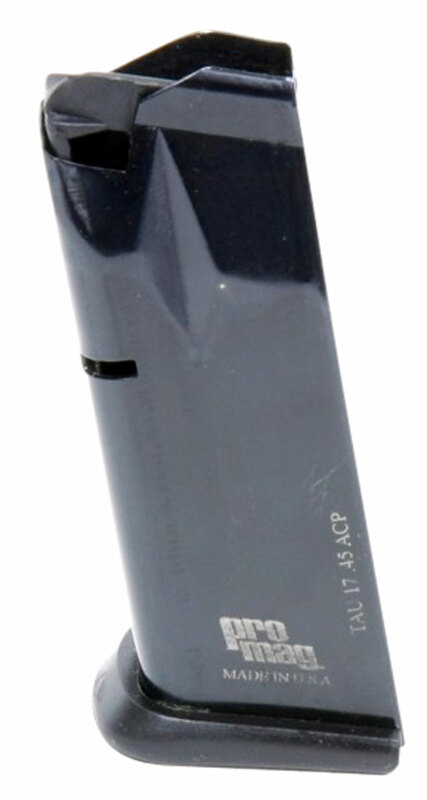 This replacement magazine for your PT-145 Millennium pistol is constructed from heat-treated blued-steel. Included is a follower, lock-plate, and base-plate molded from a proprietary DuPont Zytel based black polymer. It uses an spring wound from chrome-silicon wire and heat-treated for strength and reliability.